has a plain ol' white drum shade that cost me all of three bucks at the IKEA 'as is' department. "OK, Deb is certifiable now. She's gone over the edge with this one. Cutting up CLOTHES to decorate with?" No sewing, no gluing - nothing but a cut with scissors. Maybe a straight pin or two to make sure it stays tight on the shade, that's IT. Perfect for the holiday season, when you want to freshen up the decor in your rooms! *Slip the shirt over the lampshade BEFORE YOU CUT IT. *Move it around to to find the best 'fit' and the correct amount of shirt to cut off. *Remove the shirt from the shade, lay it flat, and cut it in half. 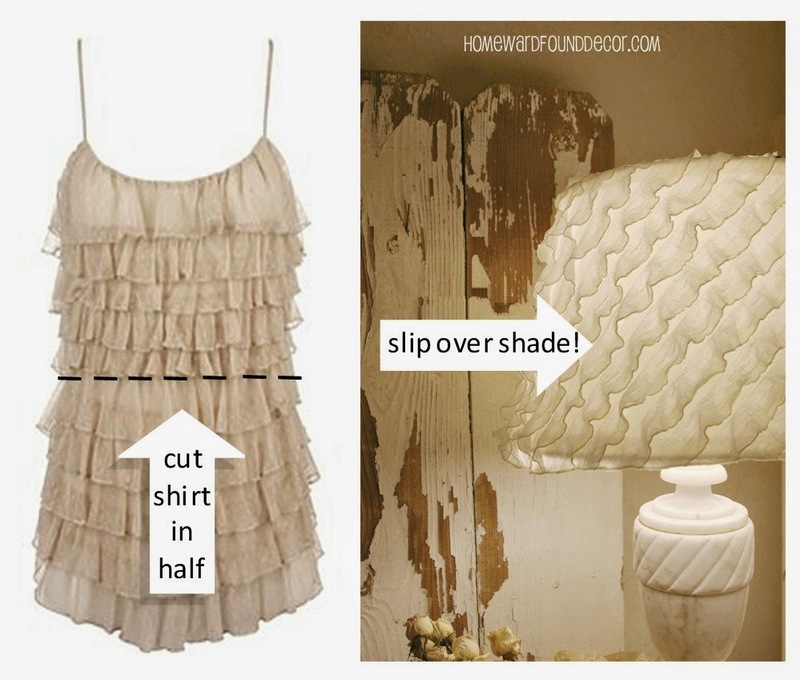 * Slip the cut portion of the shirt (lower half) back onto the shade. * Tuck the top edge of the shirt section over the top edge of the shade. * Use a few straight pins to hold it tight if the shirt is a lot bigger AROUND than the shade. I use women's small size shirts, and they always fit perfectly on basic lampshades. Or... just maybe.... a SWEATER! 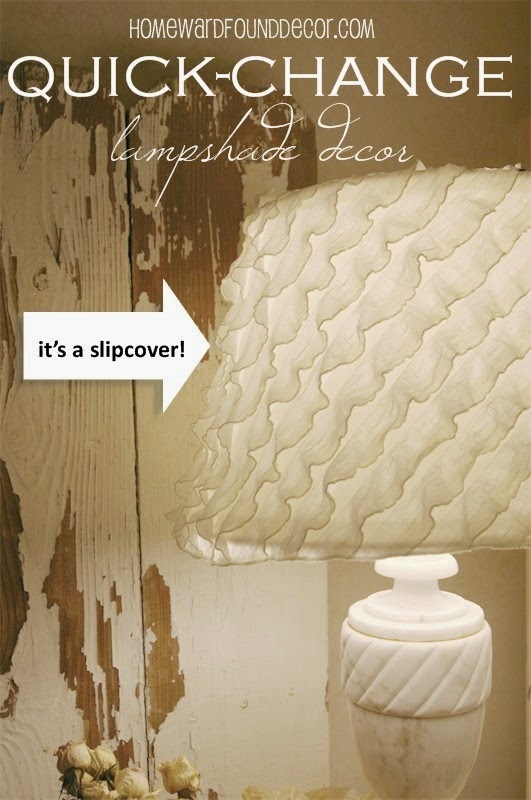 Want MORE lampshade inspiration? Click HERE!